AgustaWestland’s New Generation AW189 Helicopter Completes Its Maiden Flight. AgustaWestland, a Finmeccanica company, is pleased to announce that the first prototype of the AW189 twin engine 8-tonne class helicopter successfully completed its maiden flight yesterday. The aircraft was launched at the Paris Air Show earlier this year and this first prototype made its maiden flight ahead of schedule. AgustaWestland aims to achieve civil certification for the AW189 in 2013 and to start deliveries in early 2014. 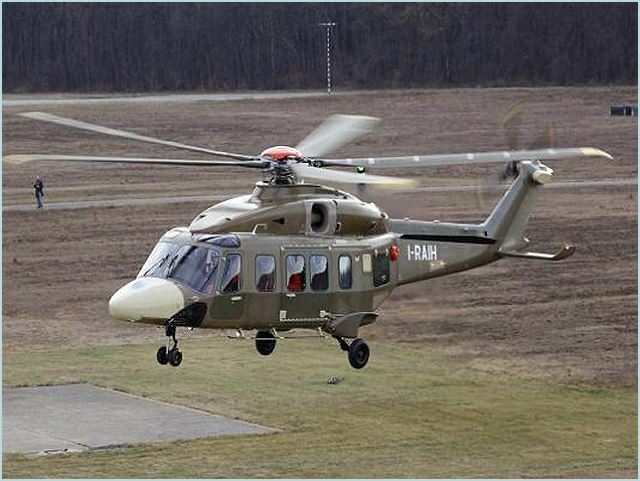 The AW189 was flown by AgustaWestland Chief Test Pilot Giuseppe Lo Coco at the company’s Cascina Costa plant in Italy. 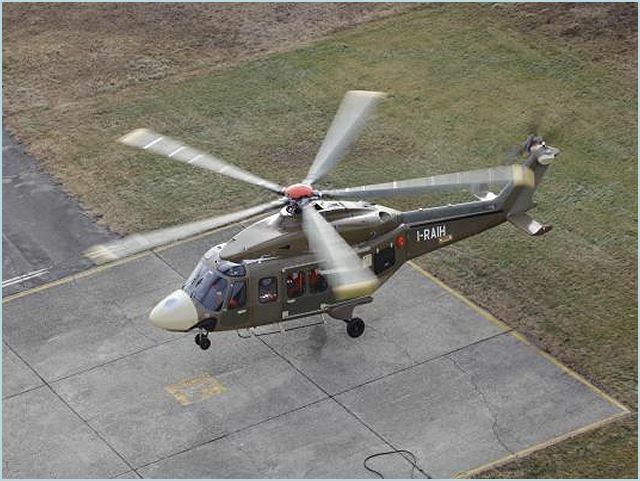 It performed as expected during the flight which included an assessment of the helicopter’s general handling and basic systems. The first prototype will be used for avionic system testing and certification of offshore equipment options, while the second prototype, set to fly in 2012, will be dedicated to a load survey programme. Bruno Spagnolini, Chief Executive Officer, AgustaWestland, said “Performing the first flight of the new AW189 just a few months after its launch highlights our strong commitment to providing the market with the most advanced helicopters in the shortest possible timescales. The all new AW189 was launched this year in response to the growing market demand for a versatile, affordable, multirole helicopter in the 8-tonne class and has rapidly found success in the market place. A number of sales have already been secured from leading operators serving the offshore oil and gas markets, including Bristow Helicopters, Bel Air, and Weststar Aviation Services. The AW189 is part of AgustaWestland’s family of new generation helicopters that includes the AW169 and AW139 models. These helicopters all possess the same high performance flight characteristics and safety features and share the same common cockpit layout, design philosophy and maintenance concepts. This approach will deliver real cost savings in areas such as training, maintenance and support for existing operators of the AW139 who add AW169 and/or AW189 helicopters to their fleets. Set to enter service in early 2014, the twin engine AW189 helicopter is optimised for long range offshore transport and SAR missions. The spacious cabin seats 16 passengers in the standard configuration with the option of a high density 18 seat layout or an ultra long range 12 seat configuration. In the SAR role the 11.2 m3 cabin can accommodate a mission console, stretchers and seating for the crew and survivors. A single or dual rescue hoist is positioned above the large sliding cabin door on the starboard side and a range of equipment including FLIR, searchlight and radar can be fitted. Exceptional external visibility and the deployment of the latest in avionics technology make the AW189 the pilot’s choice. The cockpit design incorporates the latest in advanced situational awareness technologies which reduce crew workload and enhance safety. The new generation AW189 will meet the very latest international regulatory safety requirements (EASA / FAA Part 29, JAR OPS 3 / EU-OPS). The AW189 will also benefit from the extensive and expanding AgustaWestland worldwide support network already serving the offshore oil and gas industry. A range of simulator and training devices will progressively be made available to serve the worldwide AW189 customer base.